Danone this week struck a deal with US regulators over its planned takeover of WhiteWave Foods - and it will lead to the sale of its local organic dairy business Stonyfield. 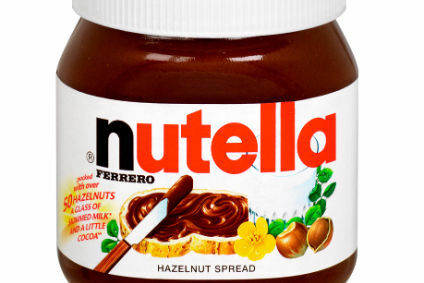 In Europe, Ferrero named a new CEO as incumbent Giovanni Ferrero moved to the role of chairman to focus on strategy. In Latin America, Brazil saw one of its major meat customers, China, ease restrictions on its exports, put in place after the corruption allegations that have rocked the country's meat sector emerged. Danone is to sell US organic dairy unit Stonyfield as part of a deal with local regulators on the French giant's planned acquisition of US food and beverage group WhiteWave Foods. Italian chocolate giant Ferrero has said that its current chief executive and member of the founding Ferrero family, Giovanni Ferrero, will move to the strategy-focused role of chairman and Lapo Civiletti will replace him as CEO. Italian agro-food group Granarolo has acquired a 60% stake in Brazilian food processor and distributor Allfood. Public Health England (PHE) today (30 March) set out guidelines for food manufacturers operating in the country to reduce sugar by 20% in the top nine categories of products providing sugar to children's diets by 2020. Donald Trump has set out cuts he wants the US Congress to make on the budgets of the US Department of Agriculture and the US Food and Drug Administration in the remaining months of the current fiscal period. China, one of the Brazilian meat industry major international customers, was among a number of countries to either fully or ease bans on the country's imports that were introduced in the wake of the corruption allegations that have swirled around the sector. Talks between Britannia Industries and Chipita over a possible venture have culminated in a deal being signed between the Indian food group and the Greek snacks maker. China Huishan Dairy Holdings, which last week saw its shares slump by 85% amid speculation its chairman and majority shareholder had misappropriated funds, has provided an update on its financial position, revealing it had met with its creditors after missing interest payments. UK-based buy-out house CapVest today (27 March) announced it is set to become the latest private-equity owner of local pork processor Karro Food Group.